Gregory (Greg) Easson became the MMRI's third director on January 4, 2010. 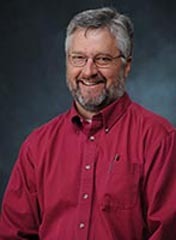 Greg obtained his Ph.D. in 1996 from the University of Missouri at Rolla. He also has his Master of Science degree from the Univerisity of Missouri and his Bachelor of Science degree from Southwest Missouri State University. Recently, Greg has served as a professor in the University of Mississippi's Department of Geology and Geological Engineering and served as Department Chair from January 2007, until he accepted the position at MMRI. Prior to his academic work at the University of Mississippi, he worked for the U.S. Geological Survey and the Missouri Department of Natural Resources. His research at Ole Miss has focused on the various aspects of remote sensing and geographic information system development. He is also responsible for the establishment of the University of Mississippi Geoinfomatics Center.